Earlier this year, Honor launched its premium View 10 (first impressions) smartphone in India. The smartphone flaunts top-end spec sheet with hardware such as the Kirin 970 SoC featuring dedicated NPU chipset and dual cameras. 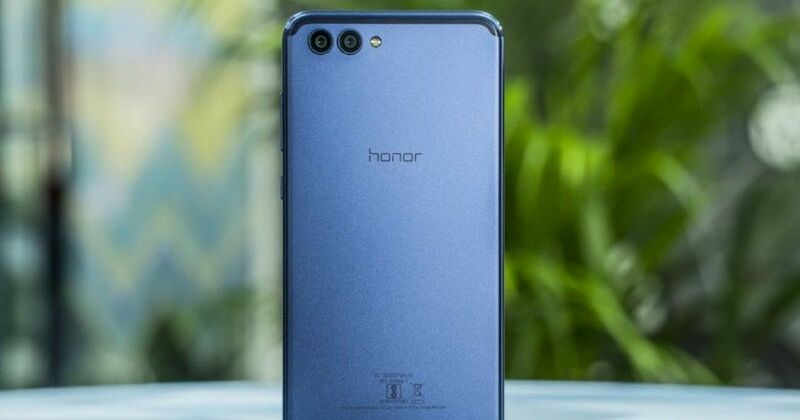 Now, the rumour mill has started churning out details regarding its successor, the Honor V20. The handset was recently spotted on the websites of CMIIT and 3C in China. Now, a couple of live images have been spotted online, giving us an insight into the display tech of the upcoming smartphone. The new leaked images show the front and back of the alleged display panel of the upcoming Honor V20. The smartphone is likely to offer a much higher screen-to-body ratio as compared to its predecessor, since the display panel seems to be a 19:9 unit with a circular waterdrop notch on top. This rules out the possibility of 3D face recognition on the handset. Nonetheless, it seems the Chinese brand is looking to use the in-display fingerprint sensor on the smartphone. The circuitry on the bottom third of the handset could be for the in-display fingerprint sensor, though it is hard to make outwit certainty. Considering the premium pricing of the handset, it would be not impossible for the company to deliver the new biometric tech, especially since the likes of Vivo and OPPO are bringing the same to the mid-range. If Honor V20 indeed ends up with the in-display fingerprint sensor, Honor V20 could be the first from the brand to come with the technology. As of now, there is no word on the spec sheet of the upcoming smartphone. It is being speculated that the Honor V20 will come with the latest flagship Hisilicon Kirin 980 chipset from the brand. The processor is tipped to be accompanied by up to 8GB RAM and dual NPU for AI-enabled features. As can be seen from the above render, there will be a single selfie shooter on the front and a dual camera module is expected on the rear panel. On the software front, the handset is likely to boot EMUI 9.0 based on Android Pie out of the box. Nothing else is known about the smartphone at the moment. It’s not known at the moment when Honor plans to launch the Honor V20, as well as its pricing. We will bring you more accurate details when they are announced, so stay tuned.